We is manufacturing, exporting a qualitative range of RO Plant. These plants are based on reverse osmosis process. 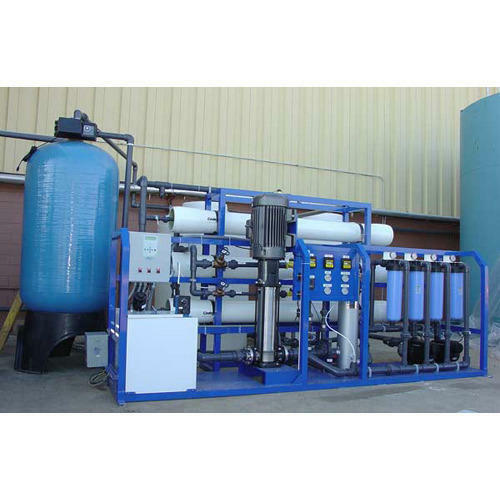 Established in 2009, Aquashakti Water Solution are manufacturer, exporter, retailer and service provider of Reverse Osmosis Plants, Water Softener Plant, Mineral Water Plant, Nanofiltration Plant, Water Treatment Turnkey Project etc. These plants are fabricated using authentic raw material and conform to various industry standards. Our range possesses the features like compact design, high performance, durability, multiple layered filtration system, easy installation & operations and eco- friendliness. Moreover, our ability to custom design these plants as per the specifications laid down by the client has helped us in retaining our wide client base. Our exporting country Gulf, Middle Asia, and African Country. We have always positioned our clients urgent requirements as our foremost priority. Hence, our core team directs all its efforts towards fulfilling the varied demands of our clients. Our list of reputed clientele includes S. Kumar Nation Wide, Shree Rajashtan Syntax, Vaman Prestesting Co Pvt Ltd, Diftech India, Kumar Cotton Mills Pvt Ltd, and Dow Chemical International Pvt Ltd. Our simple trading polices and ethical business practices have enabled us to make a mark in the industry. We are looking for Export Enquiries.